One buggy for everything, what could be simpler? Massive 4Kw motor charges on domestic mains. A low carbon lifestyle is what we all would like. The Powerhouse Golf Duo-RL (Road Legal) buggy is a step in right direction. This buggy is designed to be legally used on the main road, to and from the golf club, to and from the shops, Caravan Park or even to and from the beach. In other words, to be used where you need a vehicle to take you around any road way without the need to use a trailer. The buggy is electric powered and has a range of around 50km on one charge. It not only meets, but also exceeds all CE and EU requirements. It also complies with all requirements to make it usable on the road including, Automotive standard windscreen. 3 point CE seat belts, Windscreen wiper, hydraulic brakes, full lighting kit, indicators, and brake lights. The buggy is loosely based on our ever-popular Duo buggy, and so are the benefits and features. 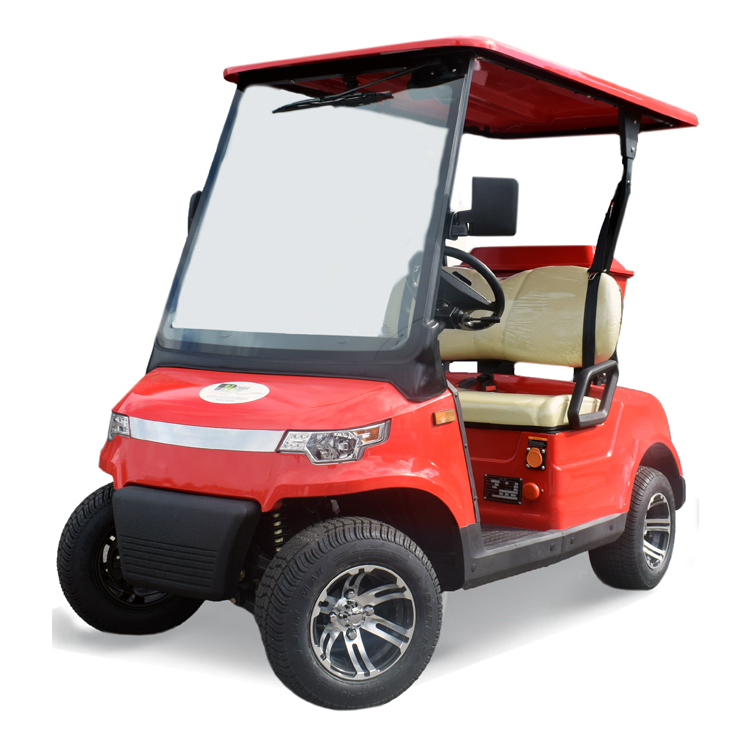 It charges up using a simple 13A domestic socket, when you arrive at the golf course, you don't park up in the car park, you just continue your journey to the first Tee. No need to unhook or unload your buggy, what a breeze. The Duo-RL is powered by a 4Kw motor which supplies enough power to carry 2 adults to a speed of (40km/h). This is a no nonsense buggy which adds something to other aspects of your life. We all need to go about our day-to-day business as well as our recreational life, so it may be worth considering a buggy that can combine both. - Double cream leather look bench seat . - Fully proportional foot accelerator, both forward and reverse. - Rear leaf and front wishbone suspension. - Huge 4kw motor with transaxle gearbox. - Advanced, fully programmable, digital speed control unit. - 4 x 18.5 x 6 flat profile course friendly tyres.